As I am starting to see some fun warm weather clothes rolling in it is also the time to take stock of what I already have. 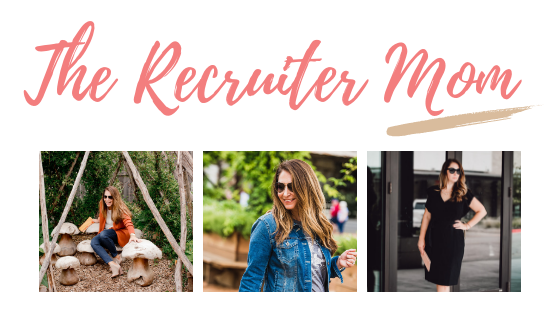 I wanted to share with you some items that are on repeat in my closet as we move from winter to spring in a few months. I use all of these as base pieces for many outfits and mix and match with a few new tops and seasonal bottoms (think color and white) as well as I’m hoping for a few more dresses. I’m super excited about the new Gibson resort collection coming up on Jan.29th since I saw already a maxi dress and short ruffle tank dress that will for sure be added to the mix. I honestly feel like a good jean jacket is something you invest in and then know that you will wear over and over again. There are a ton out there but I look for a few things, it must stretch, crop length, fitted around the bust (aka not too boxy) and good sleeve length. Weird but I have shorter arms so some are just too long. I want something that brings in my curves when I’m wearing a looser dress so it needs to have a more fitted shape. There are a few that have met this criteria Vince Camuto and KUT from the Kloth but I’m also loving the look of the Old Navy light distressed one. Fit Tips: Vince Camuto runs tts I wear a medium, KUT from the Kloth is also true to size guide which is a large for me. As we move into spring and summer I will be wearing several dresses and tanks that are racer back so it’s imperative that I have a good T-back bra that also will look smooth under lightweight t-shirts. I have tried several barrettes but many are lace or not supportive enough. A few years back I fell in love with True and Co bras and I have been a fan ever since. Fit Tips: I wear a regular large even though I am a 36DD, I’m excited to get in my new one with the lace racerback for all the tanks this summer. You all know my love for a winter puffer vest, when the weather starts to warm up I switch out my puffer vest for a utility vest. I love how versatile these are with a dress, long sleeve tee or even light sweater. My favorite look is with the black and white long sleeve tee I feel like it screams classic look. This vest is an older Caslon but I have linked several that are current that have a similar tie at the waist which helps it from looking boxy. I love how a stripe cardigan can easily be dressed up or down, this one I grabbed as soon as it came out because I loved the grey stripe and knew that it would be a great neutral. Unfortunately everyone else had the same idea because it keeps selling out of sizes. I’m also loving this navy and ivory stripe BP one as well as the light grey from LOFT. Madewell was my original inspiration because every time I saw my friend Mandi’s fall colored one I wanted it but I am loving this pink and grey color block one as well! I love having a soft pink cardigan in my mix during January and February. I think because it reminds me of candy hearts and looking pretty but whatever it is I feel like soft pink becomes a neutral that is easy to match with grey, black, white, green just a ton of options! The one I have I grabbed from LOFT on super sale and luckily it is still in stock- I’m a medium so it fits true to size. I’m also loving this super cuddly one from Leith that has a long cocoon feel. Fit Tips: Loft cardigan is tts and I wear a medium, Madewell cardigan runs large so size down. We will not discuss exactly how many black and white stripe tees I own but I will say that I love them and feel like they are an awesome staple to have a few of! This one from AE has a v-neck and silkier feel plus it flows away from the body so it looks good untucked or even with a little half tuck. If you want one more close to the body check out Target and the black with white stripe Caslon version. For something that is a bit thicker I’m in love with this black and white sweater from LOFT that has these cute heart details my go-to with distressed jeans and converse. Fit Tips: The AE fits tts and I’m in a medium, Target I size up to large, Caslon size up if you are in-between the medium fit but I would have liked a bit more room. Each spring I start to pull out my ankle and crops style jeans that look good with my converse and slip-on shoes. Last year I fell in love with the distressed but not open jeans from AE and those remain a favorite. This season I found these lightly distressed jeans in my loved Wit & Wisdom stretchy interior waistband style. These have a double ruffle hem making them super cute with a ton of outfits. Since my love for my AE jeans was so strong I knew I wanted another pair a bit lighter wash for the spring and heard amazing things about the Dream Jegging style. I also threw in my favorite camo ankle pants because these stretch and are so comfortable. Fit Tips: AE I size up and get the short length so they hit my ankle (Dream and distressed styles), Wit & Wisdom are only 1 length but I wear a 10 so size down if in-between. Camo I wear a 10P for ankle length. In the LOFT style distressed jean they fit true to size but I would need a petite for length. I love this style of Converse with the stretchy back heel and lower sides. These slip on and off so easily and are great for casual outfits now and into summer. They come in a ton of colors but white is a spring staple for sure, I have linked several retailers that carry them to grab at the best price. Fit Tips: This style fits true to size, do not size down like regular converse. In Texas spring weather brings rain and many times hail! So I know that having my Hunter boots handy will definitely be needed. I know there are a ton of rain boots but I just feel like Hunters are so classic looking and comfortable. So forever I thought that I had the classic style Hunter boot because both pairs were gifts but I am now realizing that they are the Refined Style– sorry y’all. This style is sleeker and more flexible rubber which might be why I love mine so much and had no idea! One item I added to my wardrobe last spring were these Steve Madden slip on shoes and boy was it a good buy! These are awesome with ankle jeans and crops on days that I’m running around with kids or just walking up the street to pick up my daughter. I get to a point in the spring where I’m kind of over boots but it’s not quite warm enough for sandals and these are the perfect option. These wedges I got last summer and I had so many compliments I knew that they had to go on the list. With the leather straps they start to form to your foot making the shoes very comfortable. I love these with maxi dresses since they give me just the right height so my dress is not dragging and there is a pink floral one that I’m grabbing in the Gibson collection coming out soon! 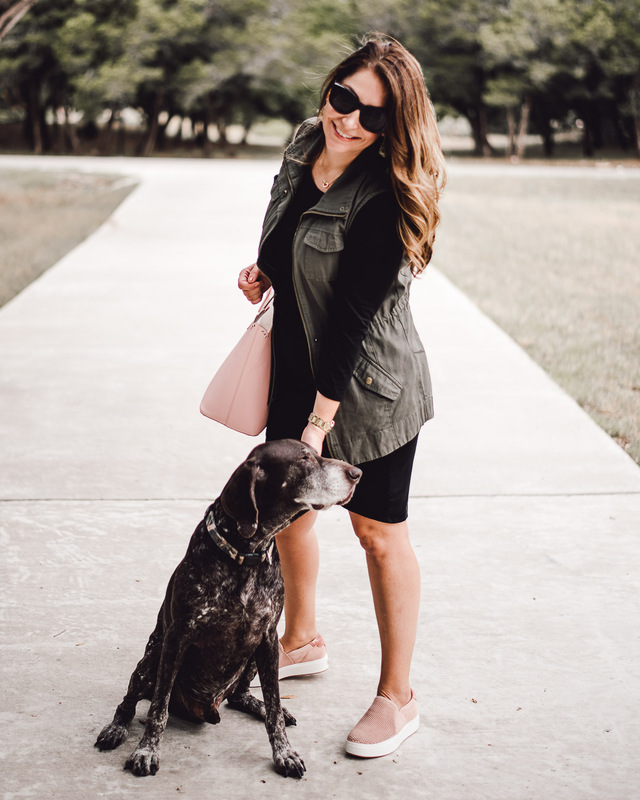 You have heard my love for this neutral leather tote a million times but it is such a classic look that it is a great investment piece that you can easily carry into summer. With the crossbody option it made our vacations easy when I needed an extra hand free to eat some ice cream on the beach! Such a great post! Love all your classic pieces 🙂 … red Hunters are on my wishlist!